It was around 1960 when Paul group started printing business in N. India. We have achieved highest production of screen printing in world on plastic containers. Which sometimes went up to over 10 Lacs containers per day. We have started our network in India In such a way that makes us one of the best pioneers in India. We started manufacturing screen printing machines in 1991. in 1995, the unit had been shaped properly by the name of APL Machinery Pvt. Ltd. We started making screen printing machines, UV Curing Systems and other products related to this Industry. These fames led us make International quality machines not only in India but also in the streams of International market. To keep pace with changing environment, technology and needs of our clients, we have R&D unit to develop new products and to improve the quality of existing products. We spend a big chunk of our revenues on the continuous upgradation of facilities our R&D and our production. To us, quality is something of high importance. Thus we engage in the utilization for high grade raw materials and modern machines, in compliance with the set industry norms and guidelines. Thus we engage in the utilization of high grade raw materials and modern machines, in compliance with the set industry norms and guidelines. This ensures the product’s performance, service life and capacity. In addition to this, for reasons of making highly standardized products available in the market, the products are sent for a number of quality examinations, where all the defects are eliminated, with high level of precision. The highly advanced state-of-the-art infrastructure at Apl Machinery Private Limited, has been parted into several highly operational units, for reasons of attaining smoother and effective management of the firm’s operations. These units, in the most dedicated and united manner, help us attain greater productivity. The facility undergoes regular up-gradation, for reasons maximizing our presence in the market. Further, the facility, laced with all the necessary machinery and equipment, helps us achieve a number of the firm’s predefined goals and objectives. Abhishek Print Line initially established as a leading manufacturers of Screen Printing machines. And later on stage APL had add on Uv Coating Curing, Pad Printing machines and Pvc Profile printing machine. With sharp understanding of the increasing demand of silkscreen printing Mr. C.P. Paul a commerce graduate deviated his business from printing in the year of 1995 for manufacturing of Screen Printing Machines for round and flat objects, Thermal lamination Machines, UV Coating and Curing System machines, UV Lamps, Pvc Profile printing machine, UV lacquering machine, Pad Printing Machine, UV Coater, Screen Exposing units and all allied equipments needed for printing machines. Mr. Paul is constantly devoted to research and development to improve on his self devised, designed and manufactured machines for silkscreen printing. At the R & D centre of Abhishek Print Line one can have a feel of buzz of excitement in the air as well-qualified design engineers keep on developing custom designed equipments to fulfill the customers requirements on their computers. The dynamism of Mr. C.P. Paul’s management and his far-sight and acumen of business has put his organization on the map of good silkscreen machine manufactures and these machines are cost-effective affordable and less time consuming on the production time. 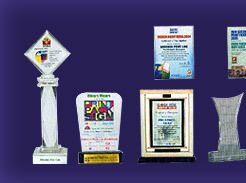 Here are few things which he has given to the company for improvement. Our team of professionals is recruited on the basis of their skills and experiences. The team in the most dedicated manner, put in all of their efforts, to attain a number of the firm’s predefined goals and objectives. The professionals are provided with regular training, to help them cope with the ever changing market. Further, to manage the team’s operations in the most effective and efficient possible manner, the professionals have been sorted into a number of highly operational units. We are considered in the market to be one of the leading manufacturers and suppliers of this impeccable range of Printing Machines. To maintain this reputation, we engage in the utilization of high grade raw materials and modern machines, in compliance with the set industry norms and guidelines. This ensures the product’s performance, service life, speed, capacity and precision. In addition to this, the product’s has its quality standardized, is priced reasonably and is delivered with high level of punctuality.